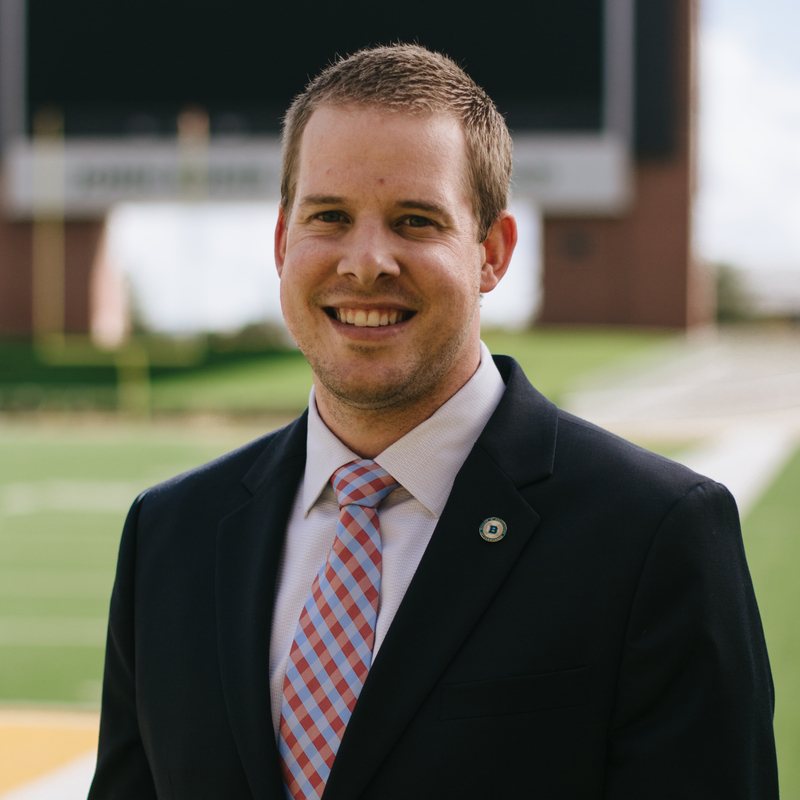 In his fourth year as Director of Development at Baylor University, his alma mater, Nick Florence has developed a reputation as one of the school’s top fundraisers. Excelling on and off the field in his time at Baylor, Florence was an honorable mention All-American and a first-team pick on the Capital One Academic All-America football team in 2012. He also was named the Big 12 Scholar Athlete of the Year and a National Football Foundation Scholar-Athlete and was a finalist for the Campbell Trophy, recognized as the Academic Heisman. As a senior in 2012, Florence broke the school single-season passing record with 4,309 yards and led the Bears to an 8-5 record that included a historic win over No. 1 Kansas State and a Holiday Bowl victory over UCLA. In two seasons as a starter and two more as the backup behind 2011 Heisman Trophy winner Robert Griffin III, he finished second all-time in several career marks, including passing yards (6,301), touchdowns (41), total offense (6,952) and completion percentage (61.8). A two-time first-team Academic All-Big 12 honoree and eight-time Big 12 Commissioner’s Honor Roll selection, Florence earned his BBA in Economics in December 2011 and finished his MBA in December 2013, joining the Baylor University Development staff full-time in January 2014. The Dallas, Texas, native was a standout at South Garland High School, where he was also the Salutatorian, and married Baylor graduate Rachel Florence in 2011. Nick is one of five brothers, including a twin, Luke, who also graduated from Baylor. In his free time, Nick enjoys an active lifestyle often biking, hiking, hunting, golfing and most importantly, playing with his 2 year old daughter, Ella Kate. Nick and Rachel are also involved with their church and love living in Waco and seeing the city transformed and revived.